Aragog-This particular Acromantula tried to have Harry and Ron killed after they wandered into the Dark Forest in "The Chamber of Secrets." 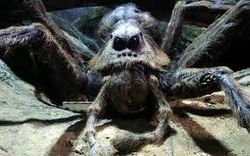 He is also the father of all the spiders found in Hogwarts and the Dark Forest. Professor Lupin- Lupin is the Defense Against the Dark Arts teacher in "The Prisoner of Azkaban" who in the end was discovered to be a werewolf. 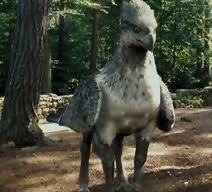 Firenze-Firenze is a centaur that sazed Harry from Voldemort while in the Dark Forest for detention in "The Sorcerers Stone." Firenze later came to teach at Hogwarts in "The Order of the Phoenix." 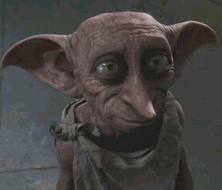 Dobby- House-elf who almost ended Harry's life several time in his second year while trying to save him. Killed by Bellatrix Lestrange while rescuing Harry and his friends from Malfoy Manor. 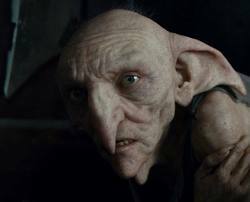 Kreacher- House-elf. Part of the reason for Sirius' death. Later helped Harry, Ron, and Hermione find a Horcrux.